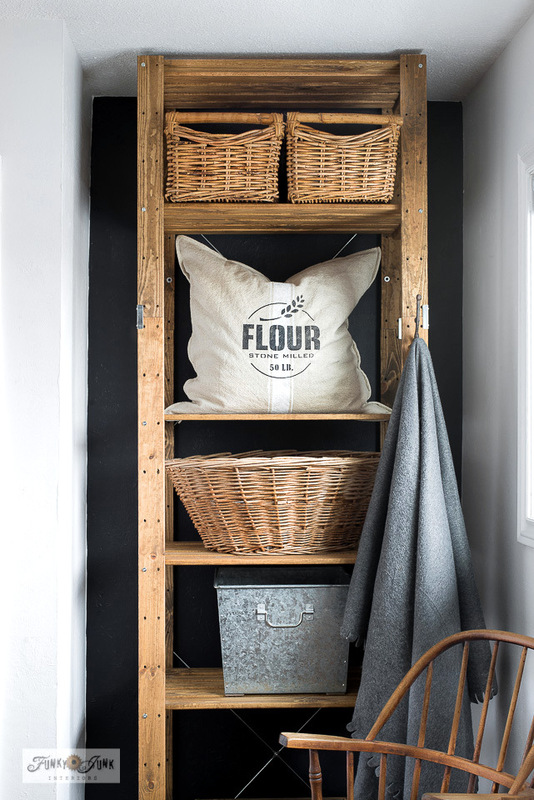 If you are a collector of vintage antiques, chances are you’ll also have a stash of grain sacks. 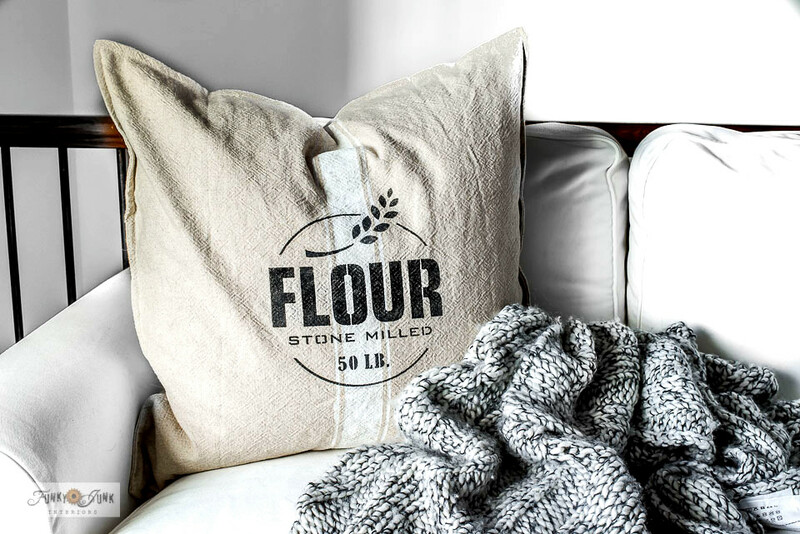 I’ve long been a collector of the burlap coffee bags using them as pillows and even as upholstery on my pallet furniture. And have come across some pretty fun flour bags with their vibrant graphics gently faded to perfection. However, what I haven’t loved about collecting is that heavy burlap is tricky to work with (and impossible to clean) and most definitely not soft to the touch. As for the cotton bags, the quirky sizes have always challenged me if I wanted pillows made from them. And of course, the french grain sacks while positively gorgeous, can fetch a pretty dear price. It was time for a DIY version! 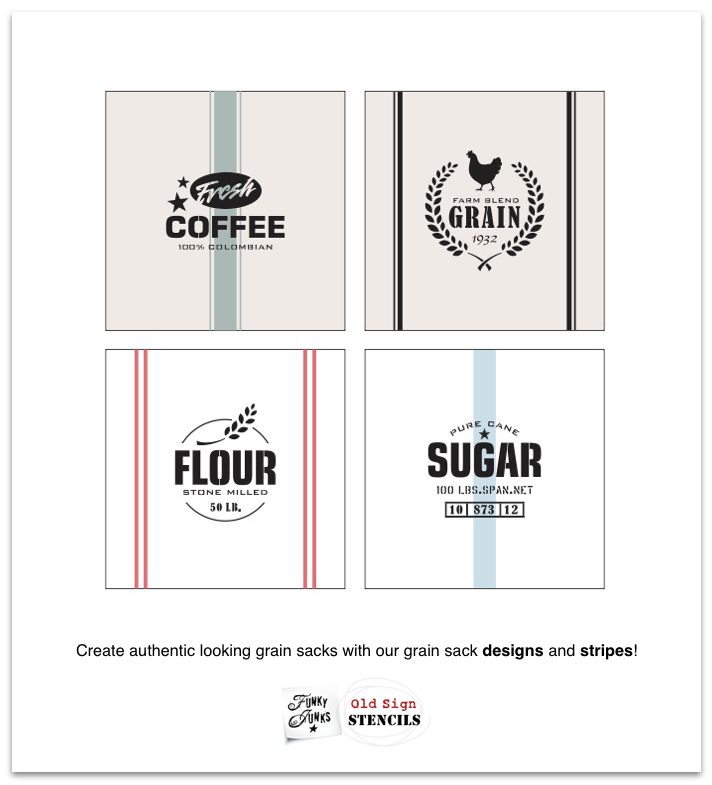 … to accompany our 6 Grain Sack Stripe stencils so you can make your own variations! I mean… how does one even decide what to do? As I was drawing up the colour proofs, I got overwhelmed because everything I attempted looked so cute! Which made me happy. You can’t really go wrong when creating with these, however I do have some tips to make them look authentic. So let’s walk through a couple of pillow designs done on two different sized cases with different techniques. 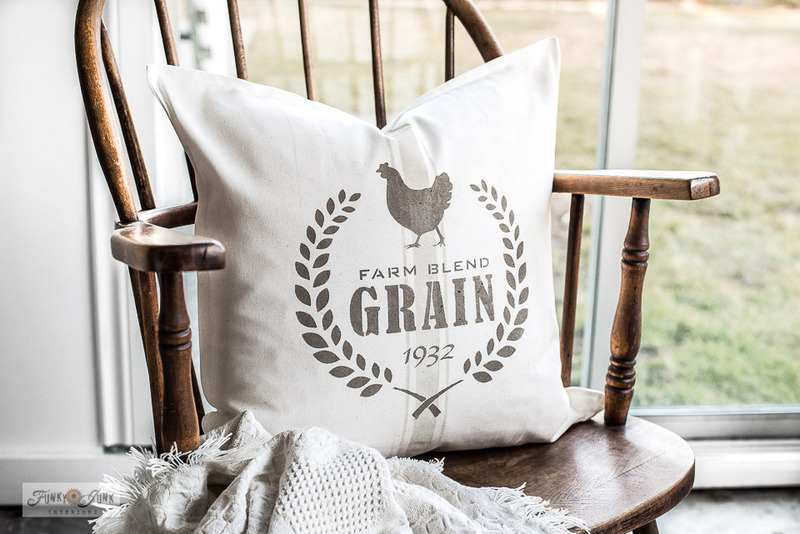 This 26″ Flour cushion cover with feather (I only get feather!) insert is positively scrumptious! And this design makes a real vintage statement. 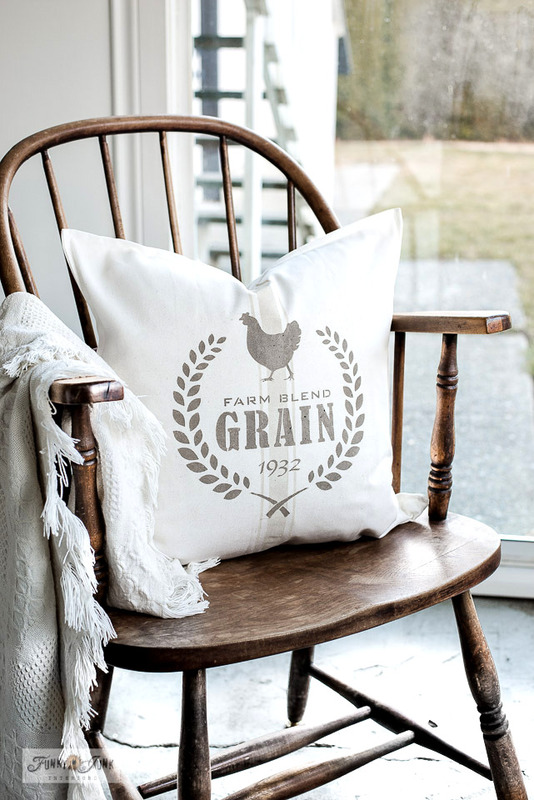 The cover has a weathered oatmeal texture and is so incredibly soft to the touch. 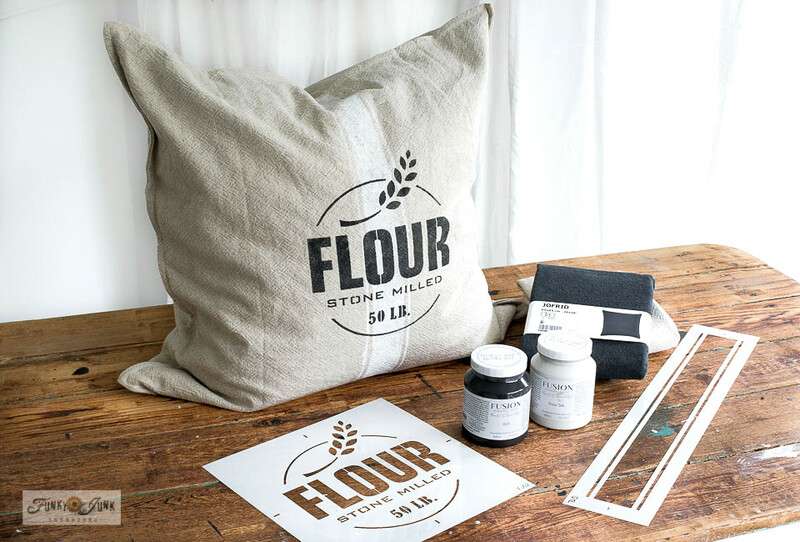 The colours used for the Flour design are neutral, yet still pack a real punch. Isn’t it a beauty? And it feels as good as it looks. You got that right. I actually lean on it and USE it! Can’t live without this one. 1. Insert something waterproof inside the cushion cover before painting to avoid bleed-through. I used plastic page protectors. 2. Position Grain Sack Stripe stencil G1 in the middle of the pillow, masking tape into place, then stencil with Raw Silk. Reposition stencil to lengthen the stripe as required. 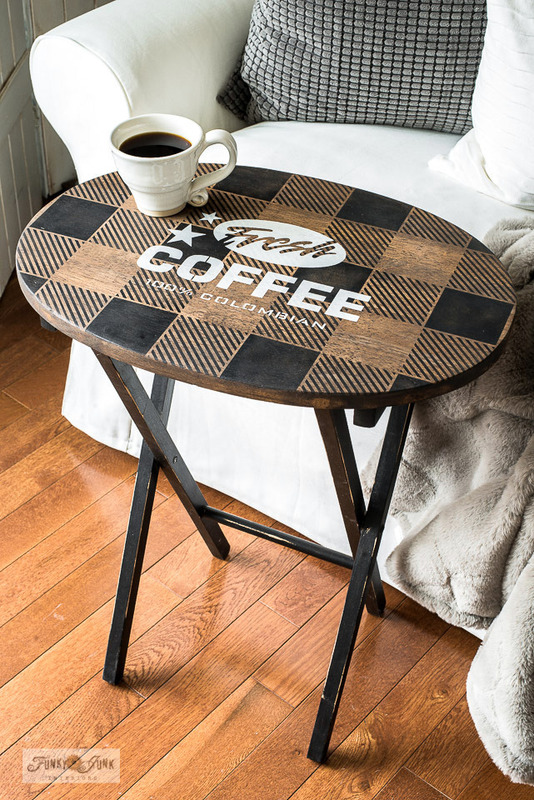 Tip: Always stencil the stripe much lighter than your planned end design over-top so they contrast nicely. Nerdy info: In graphic design print world, I was always told, never use more than 5%-10% of a colour if print will be overtop. I take that same premise to stenciling as well. It works! 3. Once stripe is dry, centre and tape the Flour stencil in the middle of the cover. Stencil with Fusion’s Ash. I LOVE this colour! I was out of Coal Black so I decided to try Ash. 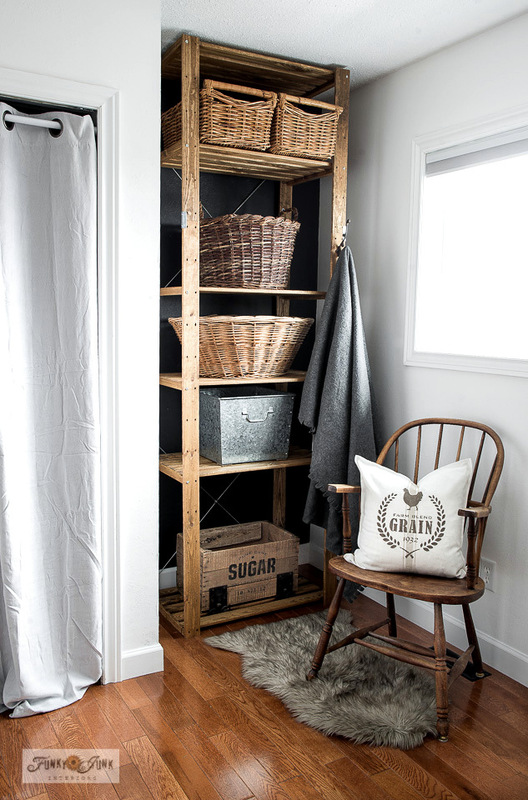 It’s a super dark grey and it gives sort of a faded black appearance which is perfect for a vintage look! I’m now using it all the time. 4. Once dry, place feather insert inside of cover, pouf it up, give it a good karate chop, and pretty up that sofa or bed of yours! Process shown in video further down this post. 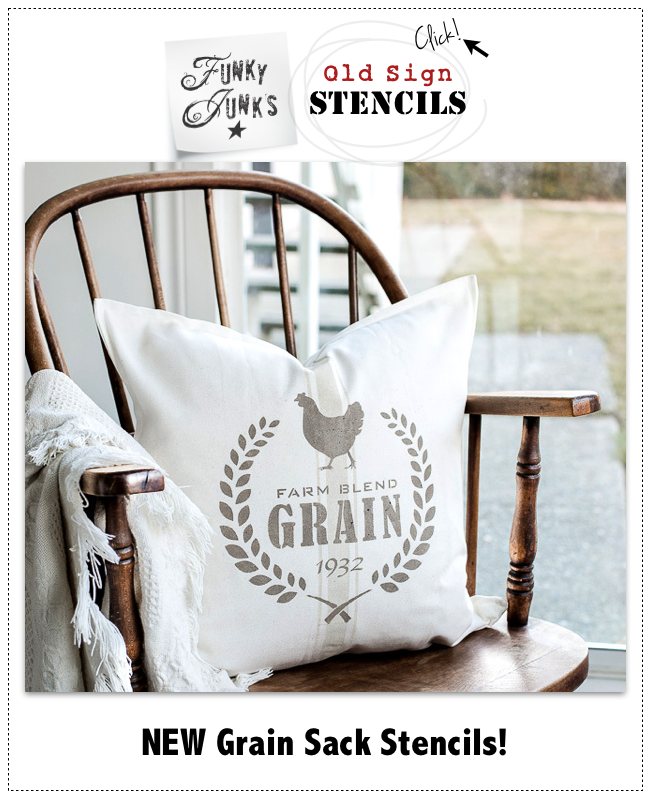 This sweet farm-themed design was totally custom drawn by yours truly, right down to the cutest little walking chicken feet! This pillow turned out so pretty in these tone-on-tone colours! For a fun grain-like effect, try the paint splatter effect! It turned out really cool. This 20″ pillow is compact enough to tuck anywhere. The covers and inserts from Ikea make this another easy project. Fusion Mineral Paint’s Champlain (for stripe) and Algonquin (for grain design). 20″ Gurli Ikea Cushion cover in (their version of) white and feather insert. These have long been my #1 go-to for cushion covers. They also come in different colours. 2. Position Grain Sack Stripe stencil G4 or G4L in the middle of the pillow, masking tape into place, then stencil with Champlain. 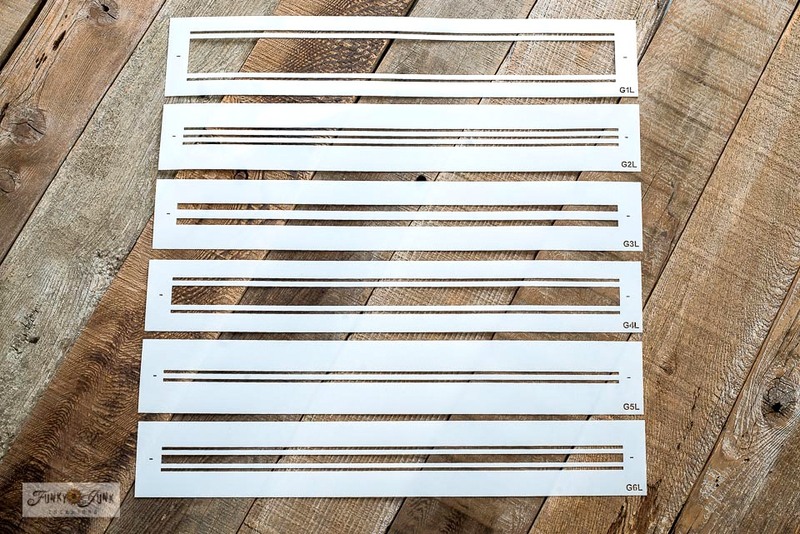 Reposition stencil to lengthen the stripe if using G4. 3. Load stencil brush with Champlain, then gently flick paint all over the cover to create a grain-like effect. Try subtle, then if you feel it can handle more, add as desired. This is an amazing fresh neutral warm colour! It gets slightly darker as it dries. 4. Once paint is dry, centre and tape Grain in the middle of the cover. Stencil with Fusion’s Algonquin. This is a really pretty and neutral tone that offers some depth. I love how the design pops against the pillow cover and stripe, while still being super neutral. 5. 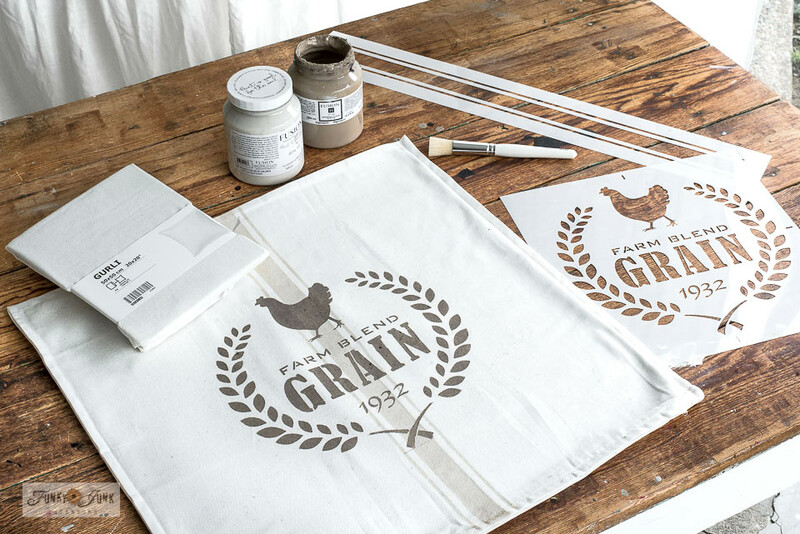 Leaving the Grain stencil in place, load the stencil brush with a deeper tone such as Fusion’s Ash, then gently flick the paint over top of the Grain logo only. Remove stencil. Click picture to enlarge to view the flicked paint effect. It’s really cool! 6. 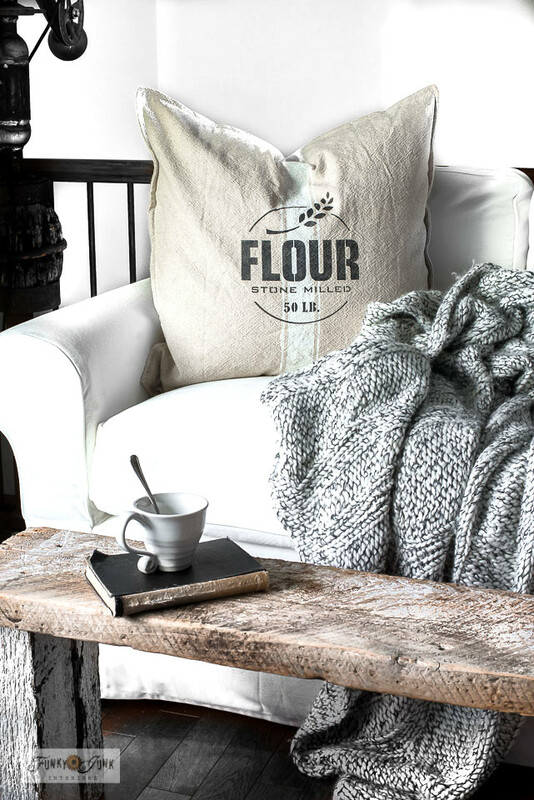 Once dry, place feather insert inside of cover, pouf it up, give it a good karate chop, and show it off on a cute chair or on your cozy sofa! Isn’t it cute? It truly is super easy to create this look! 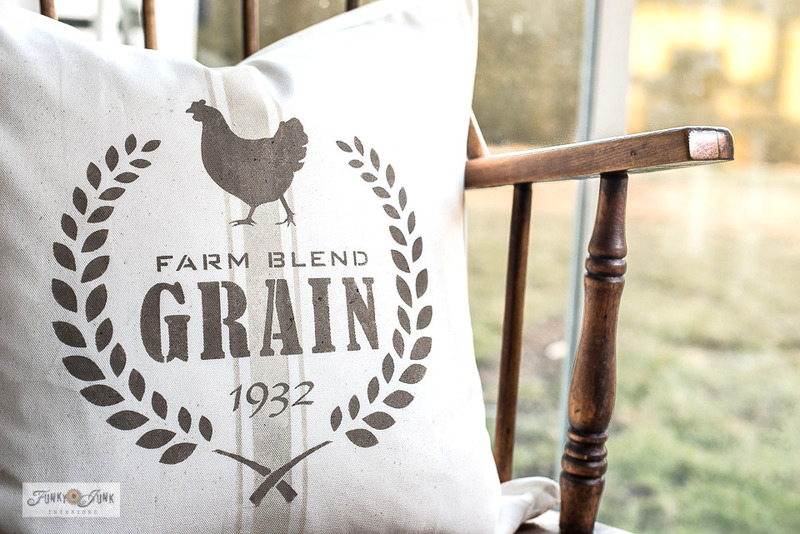 Click above to view a short video on the pillow stenciling process. It includes flicking the paint! These designs do more than pillows though. They are compact enough to fit most anywhere! I could also see this on a serving tray or even the middle of a clock. 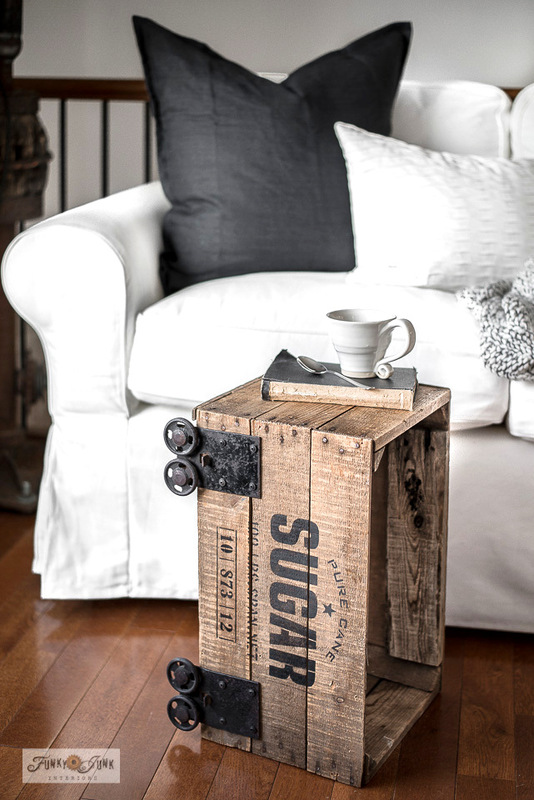 Or how about a cute little Sugar stamped crate as a side-table? 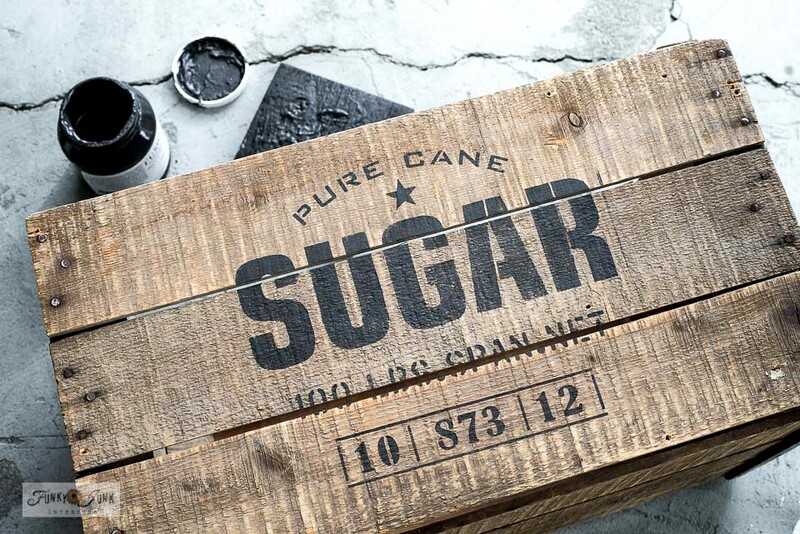 Sugar was designed to emulate a bag of shipped sugar, weights and dates and all. 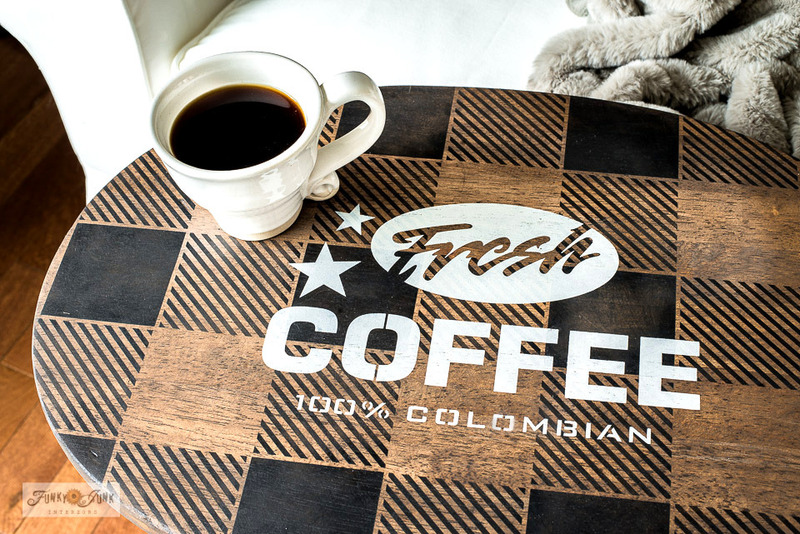 It looks great on pillows or crates! Simply position the stencil, then go for it. 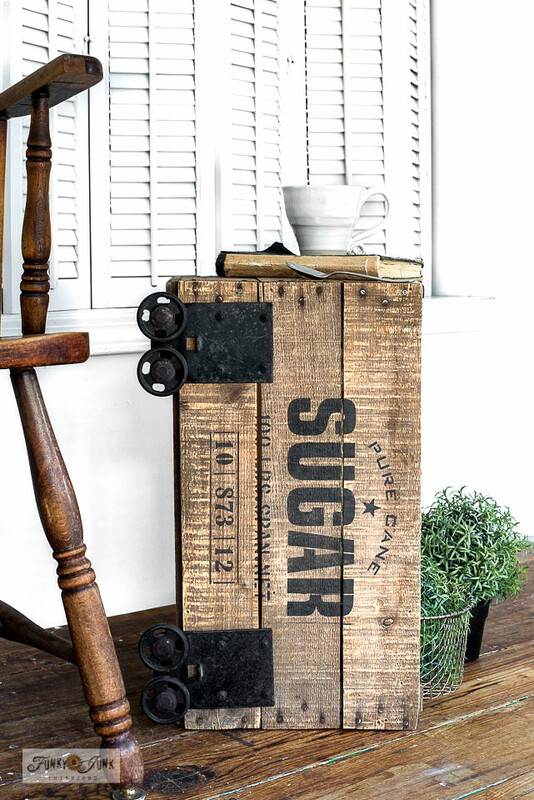 After the crate was stenciled, I added some junky hardware I had on hand to give it an industrial cart look. 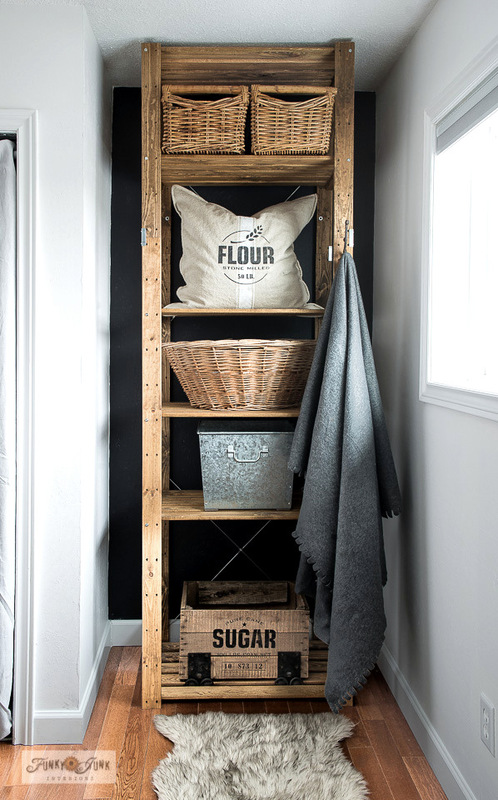 Wouldn’t stenciling a real Sugar bin be cool too?! 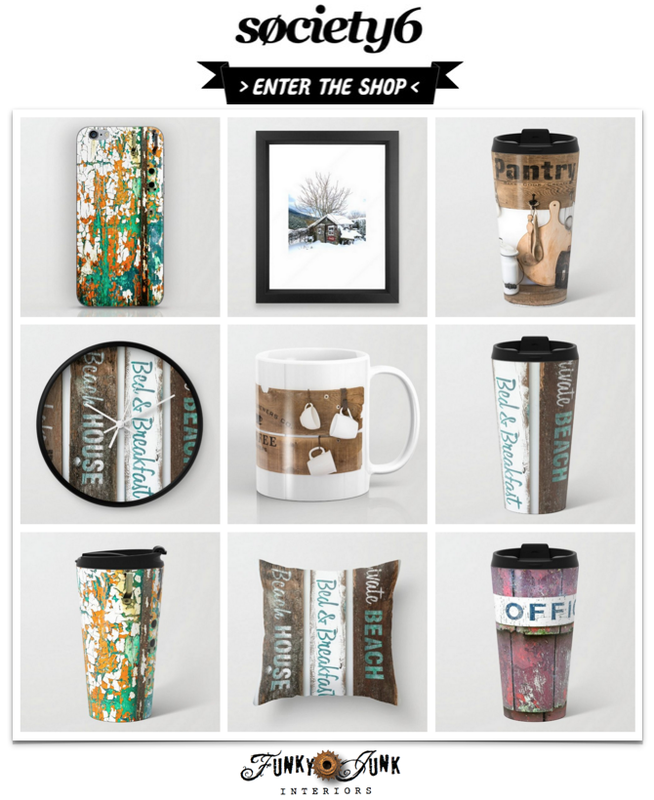 I’m rather hard pressed to find a place these designs don’t suit. Without being cutesy. Know what I mean? Do you love this look too? What would you put them on? We offer worldwide wholesale and retail. Those pillows are just lovely, Donna! I just love the stuff you make. I’ll soon be in my own home on Paros in Greece and hope to share some greek island DIY decor! Thanks Zefi! I love the sound of your current inspiration! I look forward to checking it out! Yup, black belt in pillows right here… haha! 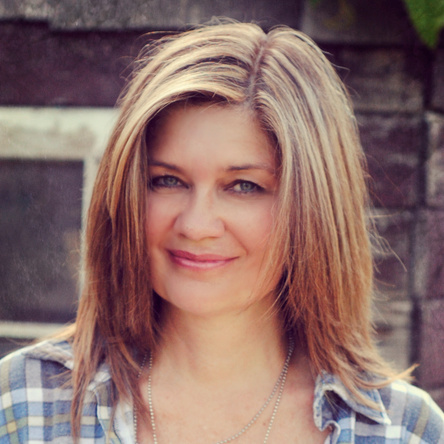 Thanks for the kudos Lora! I’m having fun with them! Hello. Love, Love Love your site and all your amazing ideas. Just a quick question. Is the paint you use on the pillows washable. Does it harden on the material. Thank you. Hi Janet! The paint feels sorda stiff before washed. All good since they are for decorative purposes for the most part. However I have found the fabric softens up and the paint may slightly fade (which I loved!) after washing. I haven’t washed these pillows yet, but I’ve stenciled drop cloth fabric and they wash up like a DREAM! I think it’s more fabric related, just depends what you use.